Sweetpea-Lifestyle: How to Make a Lace Crown! How to Make a Lace Crown! Meet Meghan! She is my featured Guest Post this month, and I LOVE her tutorial she is showing today! I also love her shop. Be sure to stop by and get some gifts for you and a few friends! Hi, my name is Meghan and I'm from Whatsername Jewelry. 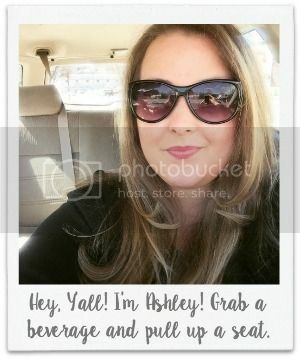 Whatsername Jewelry is an online Jewelry Shop where I sell hand stamped initial and name jewelry and a Craft & DIY Blog that shares my love for all things handmade with reviews, recipes, and fashion to boot. I'd like to thank Ashley for having me today and I wanted to share with her readers a Craft & DIY project I have been working on for an upcoming photo shoot I am planning after my baby is born. I hope you enjoy the tutorial and when you have the chance, I'd love to see you around the Whatsername Jewelry shop and blog. Now through April 1st, I am offering all Sweet Pea Lifestyle Readers 20% off all purchases of $10 or more (excluding shipping) with coupon code SWEETPEA at checkout. Now, on to the Lace Crown Photo Prop Tutorial. I first fell in love with little lace crowns on Etsy.com. Sometimes when I'm working on my shop I like to take a little break and see what other artisans are making. Since I am having a little girl in just over 6 weeks, I wanted to find some photo props I could use in her newborn photo session. Every photo I saw with a little angel in a crown made my heart melt and I wanted one, if not five, lace crowns. There are so many options to choose from when purchasing a lace crown and it wasn't so much the price of the crown or the shipping that deterred me, it was the size and color. I was determined to make at least three lace crowns so I would have options when it came time for the photo shoot. The process for creating a lace crown is easy, but it is time-consuming. As with all projects that include paint and multiple coats, you are going to need a few days to make your crowns. It is not one of those sit down on a Saturday afternoon and it is done by early evening that day type of thing, so please plan accordingly. 1) Cut lace to desired length. I used two length sizes for this project. For the pink crown I cut an 8 inch length of lace which left me with a 2 inch diameter crown and for the white and gold crowns, I cut a 12 inch length of lace which left me with a 3 and 1/2 to 4 inch in diameter crown. 2) Spray lace until wet with Stiffen Stuff and allow to dry. Use three coats of Stiffen Stuff to give lace the firmness it needs to stand up once the crown is finished. You may use a blow dryer to speed up dry time, but it takes about an hour to dry on its own. 3) Once the lace is stiff, paint with desired color on both sides. Allow paint to dry on the first side before flipping over to paint the opposite side. 4) When the paint has dried, add a thin layer of Mod Podge to the painted lace and cover with glitter. Tap off the excess glitter and return it to the tube so as not to waste the excess glitter. Allow the glitter to set dry and repeat on the opposite side. 5) Finally, after the glitter has been applied and allowed to dry, secure the two ends of the lace together using the Glue Gun.